AGE OF LOVE might have sufficiently ruined my taste for reality dating shows. I don’t know if I’m ready for the next installment of THE BACHELOR just quite yet. But it’s here and it can’t be ignored. So what too good to be true guy is going to woo women into thinking he’s actually going to marry them this time around? 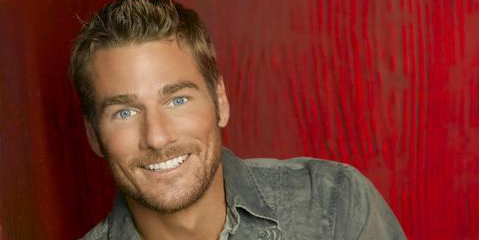 Meet Brad Womack, 34, a successful, self-made entrepreneur, who has been selected to star in the 11th edition of ABC’s popular romance reality series when it returns this fall on MONDAY, SEPTEMBER 24 (9:30-11:00 p.m., ET), on ABC with a special 90-minute season premiere. Currently residing in Austin, Texas, Brad co-owns four lucrative bars with his two brothers, Chad and Wesley, both of whom are married. With the success of these establishments, they are now looking to expand into other ventures and are in the early stages of developing a hotel. Sounds suspect to me: “the early stages of developing a hotel” to me sounds like he and his brothers sat around, got drunk and talked about how awesome it would be if the single brother could go on TV and turn his 15-minutes of fame into a national commercial for their bars which in turn would lead to an increase in customers which would of course mean more money that they can use to start thinking about opening a hotel. Am I right? Anywhere, here’s a glimpse at the new BACHELOR. Anyone else ready for THE BACHELORETTE to come back? I know I am. Pics courtesy of ABC, © 2007 American Broadcasting Companies, Inc. THE BACHELOR: Whom Did Brad Pick? As a off-topic side note, there is another ridiculous reality show referencing Austin out there. VH1’s ‘The Pickup Artist’ was filmed here in town. That is just super…sure, I love my town to be known for douchey playboys and the skanks who do them. It’s one of those shows I’m embarrassed to admit I watched, was flabbergasted and irritated whilst watching, but dangit, I’m probably going to tune in next episode. Why am I so weak?